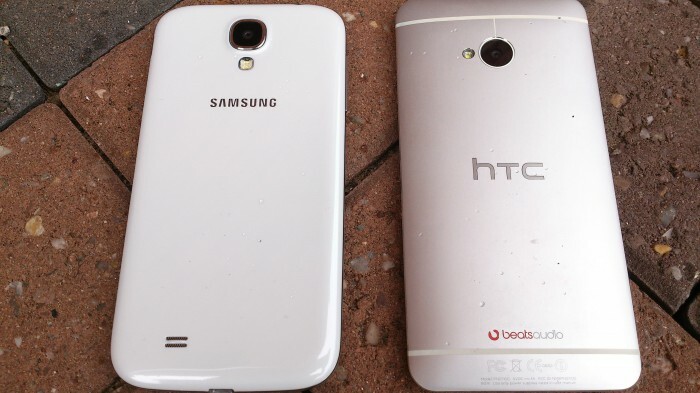 HTC One vs Samsung Galaxy S4 – FIGHT! 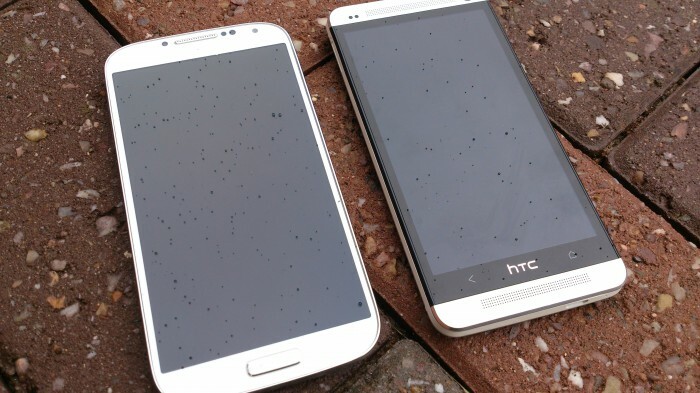 The Galaxy S4 or the HTC One? 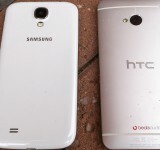 Well, you’ll already have seen the Samsung Galaxy S4 review and our HTC One Review. 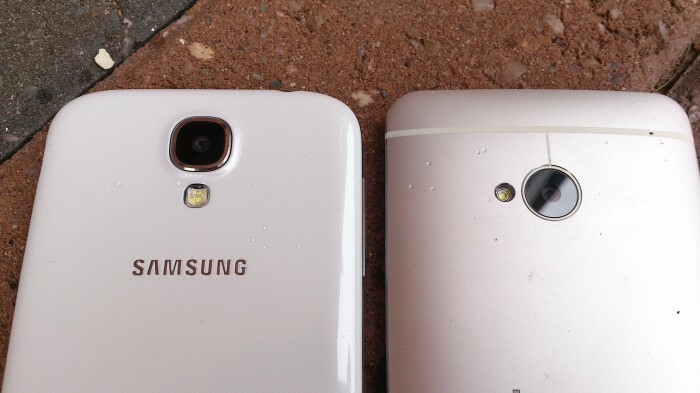 So, with Mark busy comparing the camera quality and reviewing the S4, I’ve decided to take some shots comparing the phones close-up. 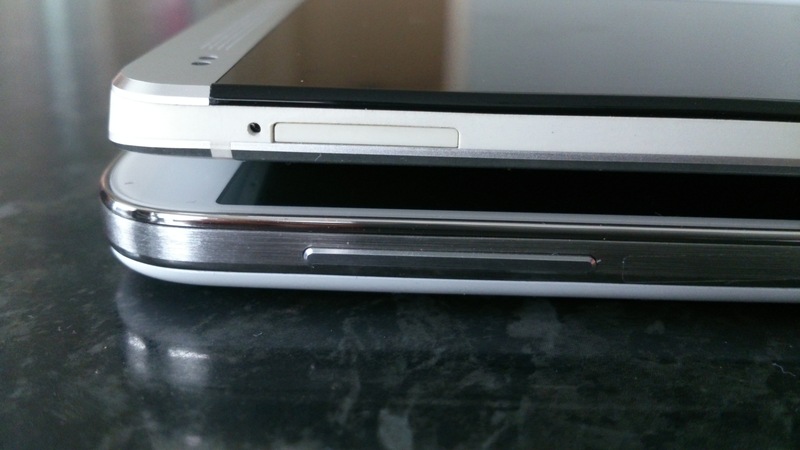 You’ll see below that the HTC One seems a little thicker, however it’s curved and sits in the hand without actually seeming any thicker. 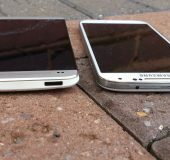 Sure, the S4 feels slightly lighter and a little “plastic” in comparison, but it’s still a very solid device and this new Galaxy model has a flatter, perhaps even “iPhone-like” edging around the device. 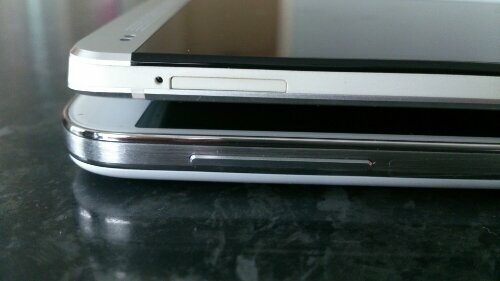 I handed both devices to several people and there seems to be a distinctive split. 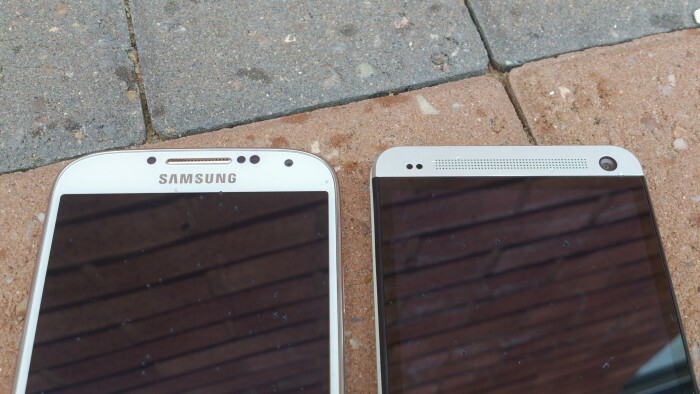 Yes, everyone seemed to want to pick the Galaxy S4 up first. Why? Because they wanted to try out the “tricks” they’d seen in TV adverts and during the launch. 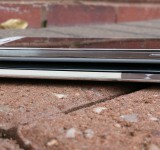 The “Smart Scroll” technology, for example, tracks your eyes to move text up and down as you look up and down. 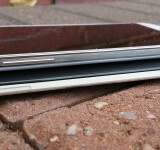 In practice this was a little hit and miss, but after several people plumbed for the Galaxy S4 I suddenly realised what was going on. Ignore the plain and simple fact that most people won’t use the “Smart Scoll” technology. Ignore the fact that they probably won’t ever use the “Air Gesture” or “Air View” functions. It’s the plain and simple fact that they’re available that made people pick this up first. It was like watching someone open presents. 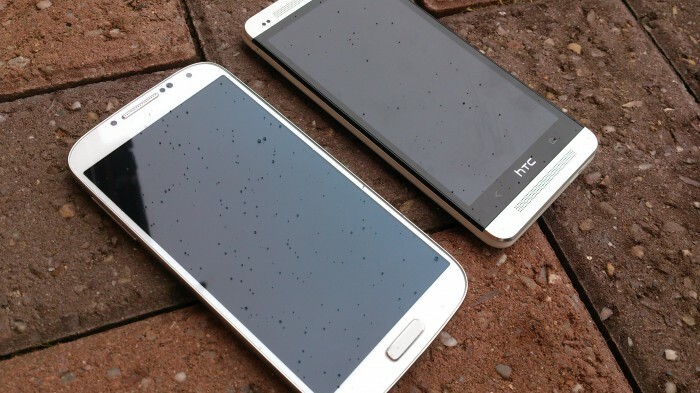 Although everyone loved the build quality and metallic solidness of the HTC One, the advertising and hype around the S4 meant that most people picked that up first. Yes, the S4 is lighter and seems thinner, but how else does it differ? Well, let’s take a tour around the devices shall we? 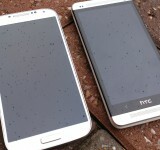 First of all, the HTC One has those stereo speakers and the in-build amp to produce some rather potent sound. The S4 has a single rear external speaker instead. 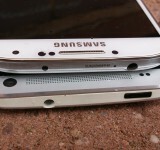 Up top there’s the usual proximity sensors and front camera. 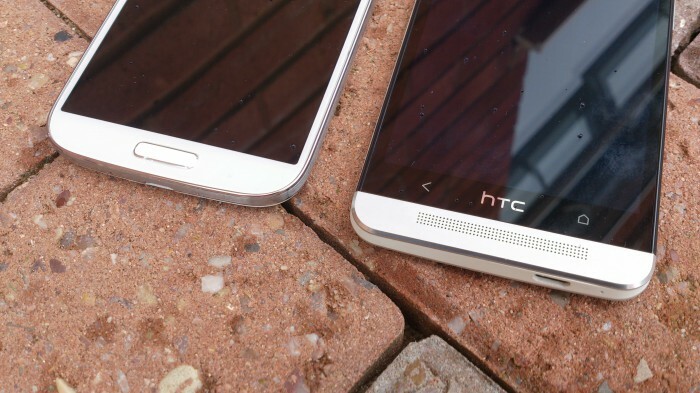 The front camera is roughly in the same position on both whilst the sensors are all tucked over the the left on the HTC One. 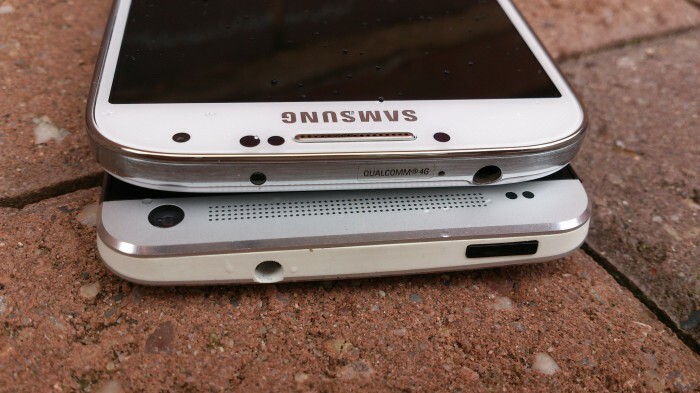 The S4 has them either side of the earpiece..
On the top both devices have an IR port, with the HTC building theirs into the power button. 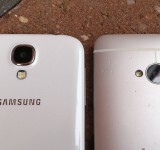 The S4 has put the IR port to the left (the smaller of the two dots you see here). 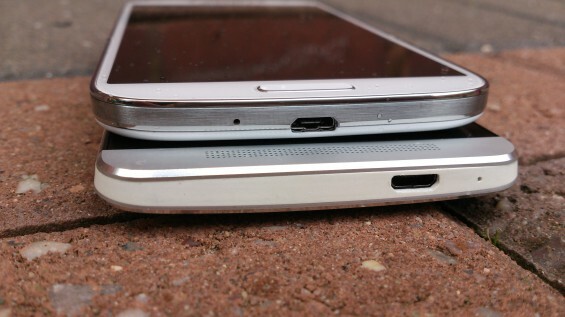 The other hole is the 3.5mm audio port, as you can see on both handsets at opposite ends. 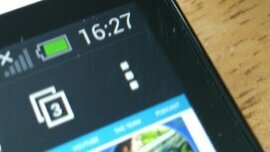 Want the volume controls? 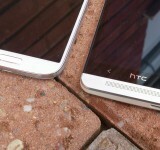 Well, on the HTC One they’re on the right side of the device. 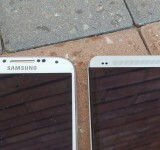 The S4 has them around the other side and Samsung have decided instead to put the power button on the right side of the device. 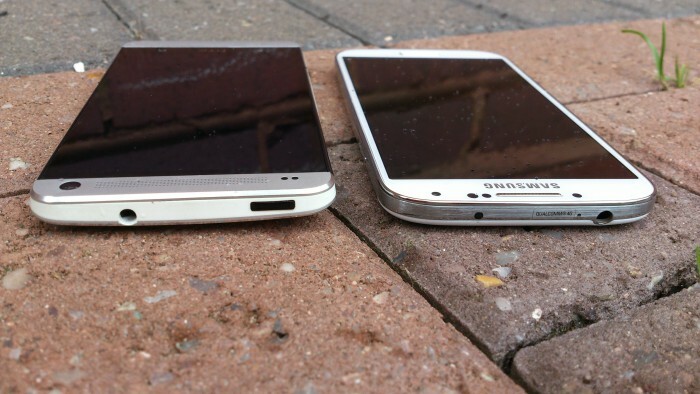 On the left of the HTC One there’s the microSIM slot. You can’t remove the back off the HTC One… not unless you have some sort of chisel, so there’s no other access into the phone. 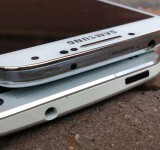 You need to put a pin in here to pop out the microSIM. 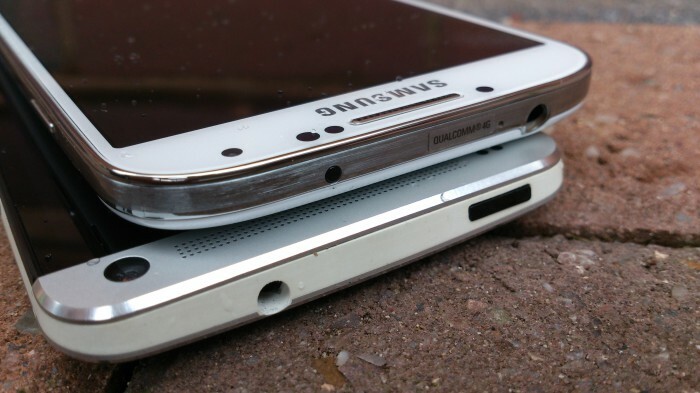 The Galaxy S4 down below has the volume up / down buttons in this position. 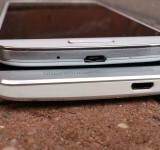 Down the bottom there’s the microUSB port. The HTC One has this off-centre..
On the S4 you’ll not need to do this, as there’s the “Back” and “Menu” button either side of that Home / Action button in the centre. 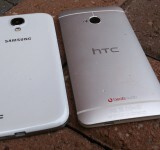 Which is better ? Well, this is a hard one for me. 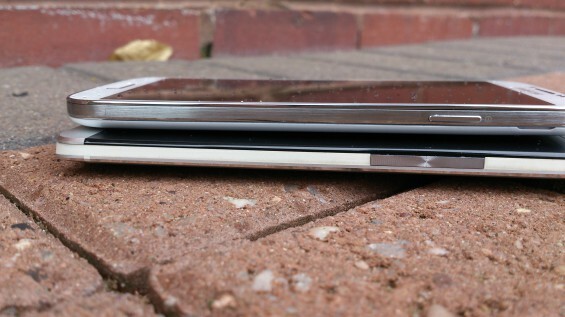 As I mentioned before, the HTC One is quite possibly the best handset they’ve ever done. 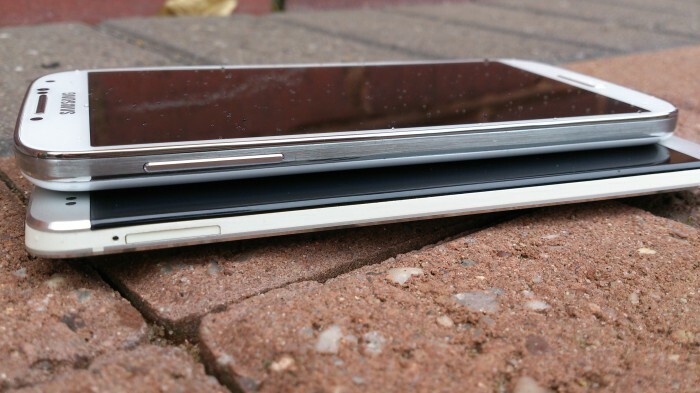 Likewise, the Samsung Galaxy S4 has a stunning amount of features considering how light and sporty it looks. 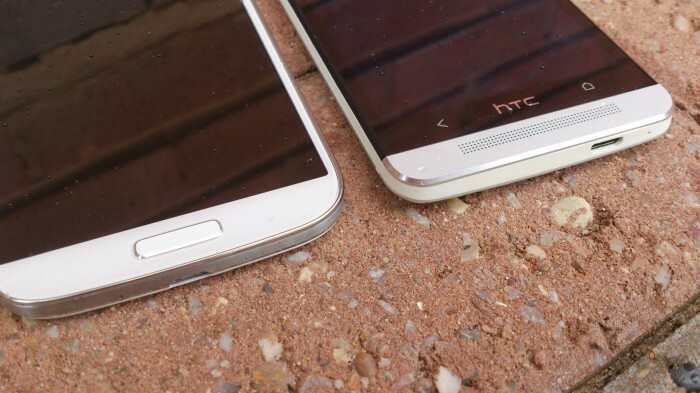 The HTC One has a definite presence about it and I personally love the useful software additions like HTC Zoe and the Beats technology within the BoomSound speakers. People are loving this and rightfully so, however I do fear that the colossal Samsung marketing machine is driving a message and people are picking it up first. In the end it really does come down to personal preference. 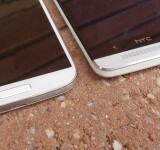 For me the HTC One has more useful features, but the S4 will no doubt sell in greater numbers. 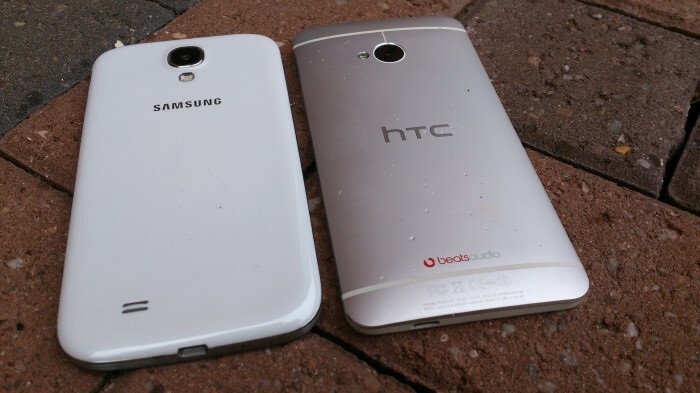 We loaned the Galaxy S4 from Tesco Mobile and the HTC One from UR-Mobile (SIM Free). 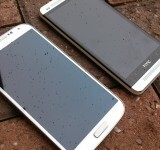 Check them both out if you’re considering either handset and we must thank them for letting us have a look. If you want more, check out the full gallery below.